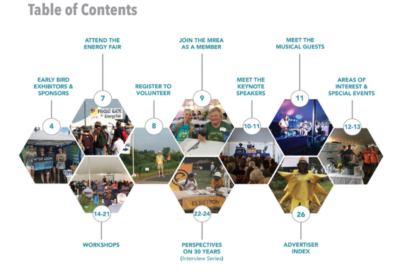 Check out this publication for a sneak peak into some of the programing, workshops, entertainment, and exciting happenings at The 30th Anniversary Energy Fair this June 21-23! It’s a good thing the Fair falls on the weekend with one of the longest days of the year during the Summer Solstice. We’ll need every minute of it! Swing by our headquarters at 7558 Deer Rd. Custer, WI 54423 and pick up a copy of your own.